I am a certified nutritionist, former Professional Athlete, exercise enthusiast, programmer and coach, with a double Bachelor’s degree in Biochemistry and Physiology! 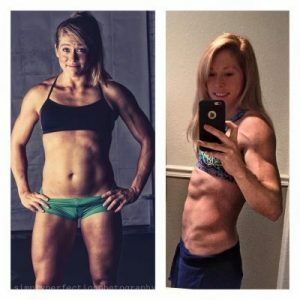 I offer personalized meal planning and training programming services, as well as remote coaching! I found weightlifting and functional training when I was 17 and have pursued it as a career ever since. I owned two strength and conditioning gyms for 8 years and have been a personal trainer, group instructor, and gym manager since I sold them in 2014. I am very passionate about health and fitness and helping others! I hope you enjoy my content and feel free to share!